Our vision is a better world for people with autism. 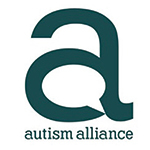 Our mission is to improve the choice and quality of services and support for people with autism. We work in partnership with people with autism, their families, commissioners and other organisations to increase understanding and achieve best outcomes. We strive to ensure that the services we provide meet the individual needs of the people and achieve the best outcomes and value. We work to build an evidence base around best practice and take this into account in designing and delivering our own services.